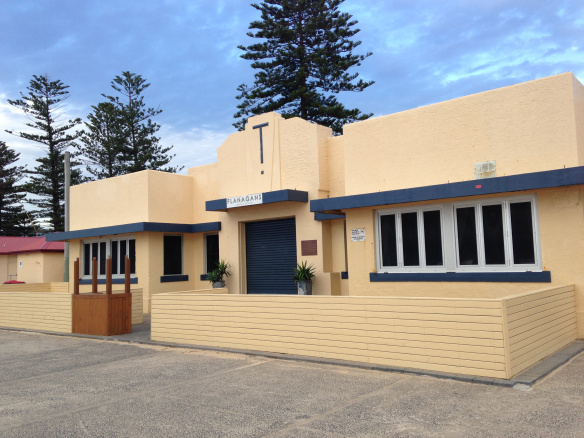 THE detailed design for a refurbishment of the Thirroul Beach Bathers Pavilion will be on display this Sunday. An onsite information kiosk will be set up at Thirroul Beach Reserve between 10am-12 noon, during the Thirroul Seaside and Arts Festival, and community members have a chance to see what’s planned for the Pavilion and ask questions about the works. The refurbishment of the existing building, including the old manager’s residence, is due to start in August. A Development Application for the project was granted in 2011, and the design was developed in consultation with the local community. The refurbishment includes improvements to the public amenities – new toilets, showers and change rooms – as well as changes to the kiosk’s kitchen. The building’s power, stormwater, water and sewer services will also be upgraded. All the heritage aspects of the residence’s exterior will be kept. While the works are carried out, access to the beach, surf club and pool will not be affected. Temporary toilets will be provided during the construction period and it’s anticipated with good weather conditions the work will take about 12 months. Council has allocated a total of $3.2 million for the project which includes design, construction and project management costs. This includes a $2.448 million loan under the Local Government Infrastructure Renewal Scheme. If you want to find out more, information on the refurbishment is also available on Council’s website and at Thirroul Library. Comments about the works must be received by Friday April 17.